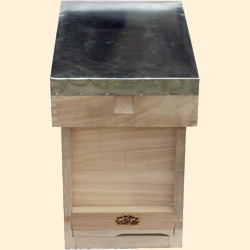 Nucleus boxes are invaluable and versatile pieces of equipment to have in the apiary. 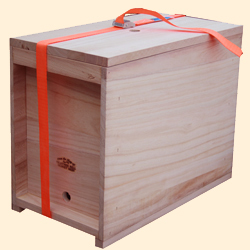 We have designed these to be simple and light weight so they are easy to carry and transport. 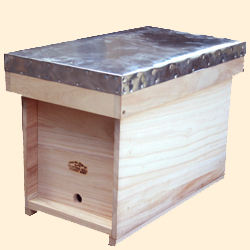 The bottom of the hive is meshed so it is suitably ventilated. 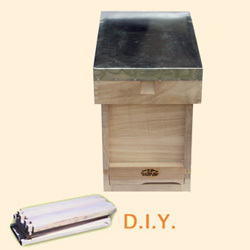 With many uses for queen mating and introduction and for collecting and transporting colonies and swarms (as illustrated). It is top bee space and wide enough for 6 Hoffman frames. Roof, metal clad, 3 inch. Hive body incorporating Floor Mesh and Floor Runners. 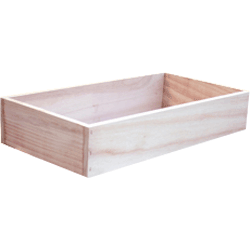 This can be supplied filled with 6 Hoffman Frames assembled and fitted with wired wax foundation. 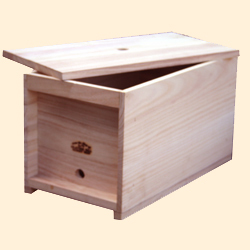 A Feeder Eke to fit a 4 Pint Top Feeder can be added (as illustrated).